This past week Sony announced that the Vita version of Ratchet & Clank: Full Frontal Assault has been delayed again, and will not be released during its “January 2013” launch window (which is not surprising, considering that we are now well into February). SCEA didn’t provide a specific release date for the long-overdue game, but did state that they now expect it to ship “Spring 2013”, which is sometime between March 20th and June 21st by our calendar. 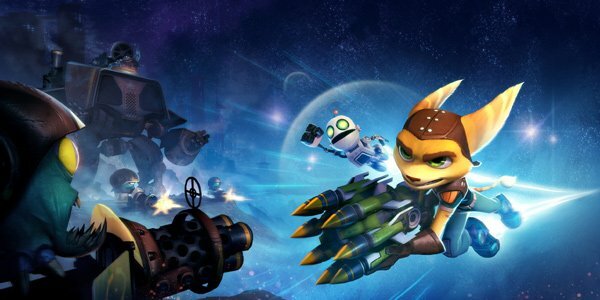 Sony noted that this new delay for Ratchet & Clank: FFA on the Vita was needed so that Tin Giant could “bring the game up to the standards expected by [their] fans”. While game delays are always disappointing, the continued walking back of Ratchet & Clank: Full Frontal Assault on the Vita has created a unique and potentially damaging public relations situation for Sony. The problem with this particular game is that the original delay of the Vita version of Full Frontal Assault was announced just prior to the launch of its PlayStation 3 twin last November. Sony heavily advertised the game as being part of their Cross-Buy promotion, which means that at least a few customers purchased the title with the expectation that they would receive a free download of the Vita version at or soon after launch. With the Vita game now delayed as much as six or seven months past the launch of its PlayStation 3 release, it’s pretty easy to see how a select group of the Sony faithful might be a bit ticked-off with this news. To make up for the additional delay, Sony announced that they will give everyone who purchased the PS3 version of Ratchet & Clank: Full Frontal Assault (either digitally or physically) a free download of Ratchet & Clank: Deadlocked for the PS3 when FFA is eventually released. We will let you know as soon as Sony provides a solid release date for the Vita version of Ratchet & Clank: Full Frontal Assault, in the meantime let us know your thoughts on the Deadlocked apology offer in the comments.